I wouldn't even consider myself an amateur artist, as I only started doodling this spring using mostly the leftover art supplies from my kids. While feeling flattered that someone thinks I'm qualified for this task, I genuinely think that this is a creative way to fund raise and encourage art creations. Started in 2010 by David Sandum, #TwitterArtExhibit is a fundraising event that calls for all professional and amateur artists to create art in postcard size for anyone who visits the exhibit to purchase. 100% of proceeds go to charities/nonprofit organizations. 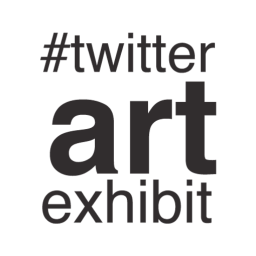 The next Twitter Art Exhibit will take place in Trygve Lie Gallery in New York, April 2016. The proceeds will benefit Foster Pride’s “Handmade” Program. Now I have a reason to visit New York next spring!